I know there is a ton of women out there in internet land who feel unappreciated, overwhelmed, taken advantage of, mistreated, disrespected, non existent, obsolete, lonely, and a great big one, BORED! I am here to share with you, YOU are not alone. If you have any of these feelings and more, then you need “A Little Sunshine”, everyday! We all work hard everyday, and we are all equal in this category. I don’t care if you are a full time Mom, or if you are employed outside of home, we all empty into the, BORED bucket. I feel this way, and I know you feel this way as well. 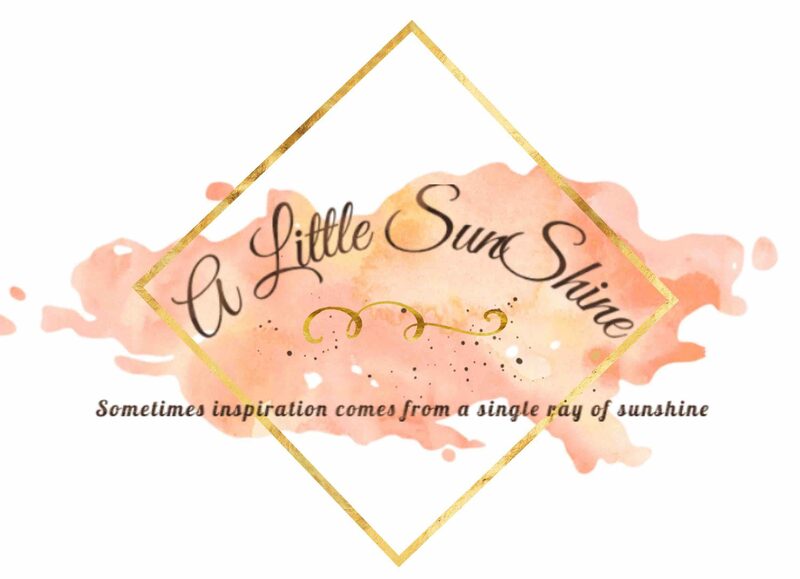 “A Little Sunshine” is here to brighten your day. We as ladies need to pick ourselves up everyday. Care for our families first and always. But, we need to make time for ourselves starting with, getting dressed and facing the day with “A Little Sunshine” on our face. Getting up with a smile is hard, but necessary for us to be able to get our daily routines accomplished. Make a list the day before of all the things you want to do, checking them off as you go. Try and get everything done within a reachable time frame, this way, you have time for yourself. This is the most important thing you can do, make “me” time. If you are feeling down at anytime, find, “A Little Sunshine”, you won’t ever be alone. us ladies are going to be here for each other, supporting each other, and most important, sharing, “A Little Sunshine”, with each other. In this Blog, “A Little Sunshine”, feel free to comment and talk about any feelings you might have. Share the good with the bad, that’s what we are her for, each other! This flower was hand picked just for me by one of the neighbor little girls on Mothers Day 2013. I saved this photo because this was the most beautiful, meaningful flower I have ever received . This picture doesn’t give it’s true beauty any justice. I’m glad , I hope it brought you a smile :). Thank you! Love this, great idea, there are many women who need a leg up every day, and it helps when there are others going through the same thing. What better way to help out then to learn from each other. The best lessons in life are the ones that are learned from others that have been through it their selves! Great post, I definitely fall into the category of needing a little sunshine as a wife and mom. Encouraging read, thanks! No thank u!! Big hugs! Nominated you for the Liebster Award! This post will be linked so you can see it. Great post. I will repay your sunshine by paying it forward to someone else, in the hopes that it continues to grow. Karrie, you are so right, and what a great idea to pay it forward. We all need to think about that, it’s people like you that make this world a better place by spreading sunshine instead of hatred. God knows we have enough of hate. We all need to learn to appreciate each other and help each other, and learn from each other. This is awesome! Thank you for this cause you are correct we all need a little sunshine sometime. Awww thank you so much!!!!!! Happy Friday and I hope you have a great weekend! We sure do, I believe sunshine is a state of mind. It can be freezing outside, which it is at this moment. But if we have positive vibes, all that doom and gloom can melt away with our sunshine stare of mind. We need to always put a smile on our face, and who knows, we might even get a few smiles back? One smile on someone else’s face would be worth many smiles on our own. This was SO NEEDED today! I had such a bad day and I just felt like a total failure! Thank you for being so uplifting! Ditto Britt, we are not failures, we get up in the morning and do what we have to do to survive. Sometimes we don’t want to get up, but we do, because we are strong. We can shove our challenges aside, put on a smile, and spread the sunshine, even when we don’t feel like doing so. But that’s what this blog is for, venting, and working through the thought times with each other. What made you feel like a failure? I feel bad because you should never feel this way. I know you have a lot to contribute and give. I know sometimes life is very difficult and not easy, but I feel that’s what spreading a little sunshine is for. This blog allows us to vent, get it all out, and in turn, we can help each other through these difficult times. I really would like to know how your day was. Please share, it might help someone else. Your very welcome! Super sweet of you!!! Big hugs back!!!! Thank you!!! So much!!!!! 💘💘 I do too, we all need to stick together ☺️👯‍♀️. I needed this today. Thank you for this beautiful post. Awesome! I’m glad it could help brighten your day! ☀️💛💘 Xo . Hope you have a great weekend!!! Stay warm! It’s sooooo cold here! This is so beautiful and uplifting! We all need sunshine in our life!! ❤ thank you so much for this! Thank u 🙂 you just made me smile! Your so right! This is why I created this blog! So thank you!!!! !